In 2014 the beloved Gilmore Girls star moved into 24 Fifth Avenue in New York City’s Greenwich Village. 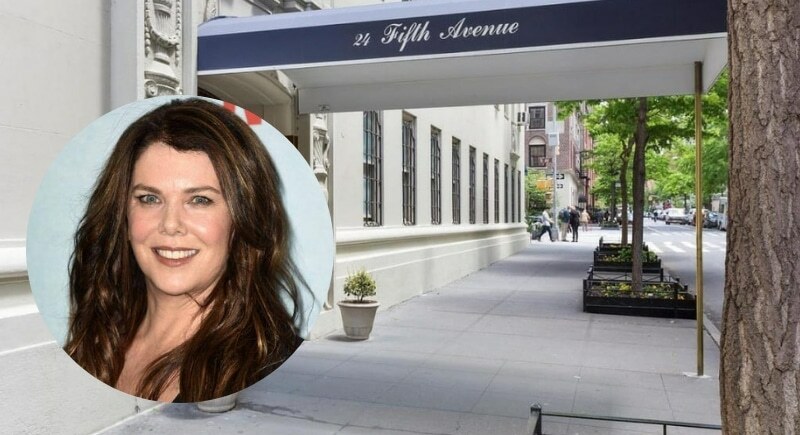 The one bedroom apartment cost Lauren Graham $570,000, and she quickly renovated the apartment and made it the ultimate NYC crash pad. The apartment is located just two blocks north of the historic Washington Square Park, surrounded by quirky cafes, nightlife, and other hidden NYC gems. We know she’s not Lorelai Gilmore, but don’t you think that’s the apartment Lorelai would have chosen? Graham and her husband Peter Krause have a combined net worth of $35 million and have since moved on from the small NYC pied a terre, selling it for a profit at $850,000.